Meredith's Labrador Retriever developed laryngeal paralysis. We adopted Sonny when he was nearly 3. That wasn't his name but it was easy for him to learn. He was living in a home with a family and another dog who was biting him. That family gave him away as he was "adoptable" so we got lucky. He's got issues like every other dog you'll meet but in most respects he's the yellow labrador retriever everyone wants: friendly, faithful, kind and smart. About 2 years ago, when he was about 10, he started to move differently. He became sluggish and tired. He's 10, we thought, but he's still healthy - what else could it be? He stopped swimming as much and he had less interest in "retrieving" the ball. He started making noises when he got out breath and that became a more frequent event. His breath was raspy and he sounded like he had a frog in his throat or a really bad clot of mucous he couldn't ever cough up. When he started looking too depressed for me to understand, I scheduled an appointment with his doctor and we started looking for answers. After a few visits to New York's Animal Medical Center the diagnosis was clear: laryngeal paralysis. He was not getting enough air into his lungs and his body was working overtime to breathe. He wasn't depressed, he was exhausted. He hadn't lost interest in retrieving, he simply couldn't. There is a surgery for it but as always there are complications. What were our choices? Some people have choices for their animals, we did not. Our dog was 10 years old when his first symptoms appeared and then they worsened. Some might have said he's old already, let time play out. But the veterinarian was clear. This surgery will allow him to breathe again. Instead of getting 30-40% oxygen like now, he'll be back to normal. He'll live through the summer if he has the surgery. The hard part is, dogs with the surgery are not supposed to swim. They could take in too much water and drown because their larynx won't close. Well if you look at that proud picture I think you can guess that we opted for the surgery. When we heard the news that he had to have the surgery there was virtually no news about this on the internet - save the horror story about the dog that had died a few months later. This is our success story. Sonny came home from the hospital thin and weak. His new harness looked gigantic on him - collars are forbidden for the rest of a dog's life after this surgery so we had already taken care of providing a new harness for his return but he looked shrunken after barely eating. We fed him special food prepared in meatballs for 2 weeks so he could recover and he did! His 1st walk outside was on a sub-freezing April night and when he breathed, he exhaled a giant plume of fog. We realized we hadn't seen that for years. He was tired, we were tired, but we were on the mend. Sonny spent the summer with a friend so he could swim everyday and avoid our narrow stairs. He had the surgery when he was 11 and he is now 12. He is getting older and less strong but the swimming and the beach walks help him get stronger. Breathing is no longer an issue for him. If your dog has a breathing problem like this I hope you find comfort in Sonny's success—I found no wonderful stories to read, no photos to smile with. What is your dog's quality of life like now and will it change? Speak to an expert surgeon to help you determine what is the right decision for your dog. 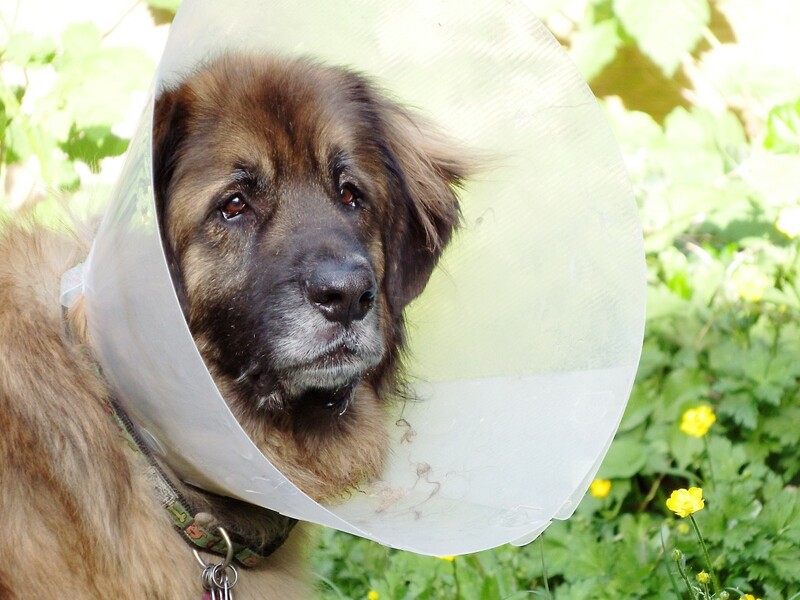 Make sure you have time to be around for your dog's recovery period. It will be taxing on you emotionally and physically. Consider a care-giver for your dog if you're not around enough—a neighbor who can stay for a while to feed at lunch and walk for 10 minutes. Buy a harness—not only will you no longer be allowed to walk your dog with a collar but for those who don't use collars anyway, they will be helpful when your dog is weakened from the surgery, anesthesia, etc. (ours is made by Dean & Tyler, is made for large dogs and is very easy to use). Give your dog time to get stronger before you get frustrated. Surgery is a hard choice; a choice that we have to make for our animals. It's harder when the animal is older as the risks are greater. For us it was an easier decision, without the surgery, Sonny would not make it through a hot season. Would he die on the table or would he die in the heat? We knew what we had to do for our family and most importantly for the happiness of a loyal companion, a loving dog. I hope you enjoy the photos of a happy and healthy dog by the water. Our 13 year old Ridgeback went through tieback surgery about 3 weeks ago. We are still feeding him meatballs and small amounts of water by hand but he seems to be doing ok. Seems upright vs ground feeding is a subject of debate. However, our vet insists we give water and food from a low area so a forceful movement is required into the stomach. Food works great. Sometimes coughing associated with drinking but we have learned to hold the water bowl low and away from him until all he has passed all the water in his throat. If he keeps his head down reduced episodes of coughing. Try it out and good luck! Hi all. My border collie x coolie is now about 8 weeks post surgery. She is still coughing/choking after drinking EVERY time. I'm also feeding her just raw meat in balls as I'm not sure what else she can have now? I'm a single mum and spent all my money doing this and cannot at the moment afford to return to the surgeon who did the procedure so wondering if this has happened to anyone else? She has loose (very) stools from the raw meat so that's not going to be ongoing. The surgeon has been less than helpful too. If anyone can give me any advice, it would be greatly appreciate. Water bowl elevated and feeding from my hand. Thank you so much for sharing your experience! It gives us strength to face the surgery next week. Our 14 year old pooch Tara had tie back surgery a week ago. With the hot summer approaching here in New Zealand the only options were surgery or having her euthanized. She is otherwise healthy, so we went for surgery. After only 1 week post-op, she's doing great and our vet says we're largely out of the danger zone. Fingers and paws crossed that all keeps going well. 1 - Even if it doesn't work out, we have done our best. It was worth spending the money to know that and give our dog the best chance. No regrets, no matter what. 2 - As soon as our dog's quality of life is no longer good, we have to put her down, even though it's going to be really tough. We can't keep her alive for our own sakes if she is suffering. If you're on the fence with the surgery, and you're dog is otherwise healthy, and you have the money, I recommend going for it without delay. Of course there's risks, but there's also a lot to be gained. I would never in a million years or for a million dollars do this surgery again. I'd give years of my life to undue it. I lost my heart dog, my soul mate. Even with a board certified veterinary surgeon and me follow instructions to a T after surgery he died of Aspirate Pneumonia going through 46 days of hell. 1. Straight after the op we put an ice pack on his neck virtually all the time. This helped enormously with the swelling which developed as he had been barking which is a big no no. We tied the wrapped up soft ice pack in a tea towel loosely round his neck. 2. For food we made meatballs and had him sit so we could feed him by hand. This also helps with giving the medication as you can hide it in the food. 3. Treats now are only meatballs, no dry biscuits. 4. Food bowels are elevated to to nose level. 5. Initially we were worried about him not drinking enough water. The problem was he had to get used to the new feeling of how it felt to drink. Initially when he drank he'd throw up the food and water, however that improved so he was only 4th growing up the water when he'd drunk too much. We tried to stop him drinking after a few sips but he managed to work it out for himself and is fine now. 6. We made sure for initial 2 weeks post op he was only allowed downstairs in the house and no walks. After that we walked him gently and gave plenty of rest. Now after 6 weeks he can walk 2/3mile and that's about his limit. Albeit it has been really hot and that makes him struggle more. In summary, if we'd known he'd come through the op as he has done we wouldn't have waited. He was very fit for an 11 yr old and has managed to bounce back. He is getting old but at least we have him. There are risks with any op but we are so glad now we have him for longer. 3. thepetfund.com is a wonderful place to start. there are hundreds of sites. it helps to have the vets diagnosis to apply at most of the sites. my aussie is post-op the lar-par surgery. he is 13yrs. it was done on 5/9/18. none of the vets in my area were very hip to this issue. so after much research and various meds i decided to take him to the CSU vet school clinic in ft; collins, co. this place and its staff is amazing. after the first day of blood work and x-rays he was cleared for the procedure the next morning. it was a long stressful time for my boy and myself but there was no choice.watch him suffocate or give him a new lease on life. please get surgery, don't think twice if the surgeon thinks your buddy is healthy enough, JUST DO IT!!! My almost 13 year old lab, Bailey was diagnosed, and we decided to keep him chill and not do the surgery. Now that a couple of months has past, we are thinking about getting the surgery, based on his actions. He seems to still have energy and wants to play, but he just cant. We really do not know what to do. I was quoted a price of $5000 for the surgery. Are there organizations that would help with the cost? Our 11-year-old Yellow Lab, Tracker, had the tieback surgery one month ago, March 6, 2018 at a facility in Des Moines, Iowa. It's an expensive procedure but worth it. It saved Tracker's life. Don't hesitate. The change we've seen in Tracker is amazing. His breathing is back to normal. He is taking walks again, frolicking in the snow (yes, it snowed here today) and enjoying his life again. For anyone going through this with their dog I recommend joining the Laryngeal Paralysis (LP) Support Group on Facebook. There is lots of information and positive support in the group. Over a thousand members at this time. If you are reading this page, and are on the fence about the surgery...don't delay. I should have jumped in my car the day of the diagnosis two weeks ago, and gotten my precious boy the emergency surgery he needed, and he'd still be here today. There's no "keeping them comfortable" once you discover they have Lar Par. I tried for a couple weeks with prednisone. Then Wed night, came home to him...let him outside...and his throat closed up and he panicked. I was completely helpless. CPR was hopeless, cause couldn't get air in. I raced in my car 20min to the nearest ER vet, but I felt the life leave him before I got him there. The Vet said he wouldn't have been able to get a trach tube down his throat because of the Lar Par. I watched my sweet boy suffocate to death, retching to get air, turning blue then white, and then he was gone. If you love them, and that is the only thing wrong with them, get the surgery done, and hug them a little closer each night. I pray your fur baby doesn't suffer the same fate. I needed to find this page today! Tears fill my eyes reading each of your stories and hopes of success. Been praying about what to do for my dog for the past week since his Lar Par diagnosis. He's a 10yr old bulldog. He's had the wheezing for a while now, I just attributed it to his breed. Last week I thought he had a seizure while playing outside, turned out it was respiratory distress the Vet believes. He couldn't get any air in and was panicking. My heart broke not being able to help him breathe. Diagnosis was confirmed under mild sedation. The surgery quote is $$$, and closest specialist surgeon is 8hrs across the state of TX in College Station (A&M)... so I've been battling everyone's opinion of "he's old and lived his life" or "he's just a dog", versus how I see my perfectly healthy boy otherwise (with clear X-rays and perfect blood work). He's been with me thru so many trials and tribulations in my life the past decade, I just can't see abandoning him when I can afford to try and extend his life and improve his quality of life! It's just money right, we can't take it when we go?....But I don't know if I can live with the regret if I lose him... of not having tried when I had the chance. So thank you all for sharing your stories, and I pray best wishes to each of you and your fur babies. My yellow lab Hunter was adopted full grown. He was a rescue dog... He was diagnosed with Laryngeal Paralysis in mid Sept. He is recovering from tie back surgery post op day #2. I am hand feeding him little bits of water and making meatballs as suggested, just giving one a time. I hope our story turns out as good as Sonny's. I could not stand by and watch him struggle to breathe and do nothing. It is very hard to watch him and wonder if he will ever walk around the block again. Hunter loves his walks. He and I will just take this journey together one day at a time! My goldendoodle Peyton is suffering from larpar , I have found a surgeon in Pennsylvania that peforms am innovative surgery . Peyton no matter what I do , maze bowl, toy feeding , won't chew , only ice will he chew, and I'm terrified that the tie back surgery will be more harmful, but he is getting worse everyday . Can you please give advice regarding food choice and whether or not you think that even know he has these habits the most common type back method would be of service to him rather than detrimental . My 15 yrs of age girl just had the life saving surgery! I had to resusitate her twice in one day that went for hours... misdiagnosed for 2 freaking years eg allergies, etc... Had u not resusitate her I would have never known. She too is thin now and on protocol vegan meatball diet by Gardein. She is back to herself with a zest for life..but I must constrain until she internally heals, or the worst can happen. Yes, even our elderly canine persons will to live should be honored! Thank you for your article....I can only imagine the angst of not having back then experiences from other to support you along the way! Thank you for changing that! Thank you so much for sharing! As I type this, I'm making the decision to have my 12 year old lab get this surgery. I pray it helps as much as it did with your pup. What do you feed your dog now that he has recovered. My dog just had the surgery two weeks ago and my vet said it was alright to feed him dry kibble, but I am kind of scared to. Glad to have found this post. I had never heard of "larpar" until a few months ago when I happened to take my 11 y.o. hound/retriever mix, Bella, to a new vet clinic one block from me. I had gone to get Bella treated for a UTI, but when the (very) young vet walked in, she immediately said, "That sounds like laryngeal paralysis." Bella was still panting heavily after walking the single block to the clinic. She had even stopped to gather energy to make it to the corner. For the past year, Bella's energy level had been decreasing drastically and her panting had increased significantly. The vets at the clinic I had taken her to for years had chalked these changed upnto aging and pain associated with the arthritis in her hind legs and had prescribed her Metacam. In the fall one of the vets told me Bella was just starting to show signs nerve damage in a hind leg. I quickly read up on larpar and came to the conclusion that I should have her checked out by a surgeon. I had to wait a few months though because in Seattle, where I live, the cost of the surgery is exhorbitant. Last week we met with a surgeon who agreed that it sounded like she had larpar but wasn't in crisis. He said they would check for larpar (which has to be done under sedation) and if it were confirmed they would go straight into surgery. I bit the $$$ bullet (Bella is SO worth $3500! )and she had the surgery yesterday. Everything went well, and they monitored her overnight. I picked her up early this afternoon, and she was happy but lethargic from the painkillers. Her hind legs were and still are wobblier than usual. On the way home I purchased an elevated bowl set and enough cans of wet food for the next two weeks per the vet's recommendation. Her appetite has been robust as usual, and she was able to drink without coughing. Her energy is low, but I think that's due to the painkillers and from having a stressful night away from home. The strangest thing is how quiet she is. No heavy panting! She's never been an excessive barker, but she has always "talked." I'm hoping some of her voice returns. Fingers crossed B will recover quickly. Her surgeon said no more swimming but she can return to kibble in two weeks. She also will need to use a harness rather than a collar for the rest of her life. She has a course of antibiotics to get through and is restricted to short walks until her incision has healed over. The vet tech said a lot of dogs just need painkillers for a few days,but they gave me enough for 2 weeks. She will also continue with her usual dose of Metacam for her arthritis. I'll try to remember to write an update in 2 weeks -just in case anyone is curious! I really feel like the surgery was a good choice. It might not extend her life, but I think it will improve her quality of life. Saturday, August 20. Maya had trouble sleeping last night. Her stomach kept making loud noises and she seemed like she was trying to swallow at night. She woke up panting lightly. She seems to do this whenever we walk in the room. She tried to bark two times and we stopped her with firms "no barking". We just got the old squirt bottle out from puppy days. We will keep it near in case she tries to bark. We are seeing the need for a very quiet environment and less activity around her. We have increased her Tramodol to keep her more sedated. When the drug wears off she wants to act like her usual energetic self. She tried to chase a squirrel this AM. She needs someone immediately next to her when she goes out to urinate or defecate because she wants to canter around the backyard. We want to keep her quiet for the next 7 days to prevent barking. She has tried to scratch her neck incision several times. My 12 year, 8 month Golden, Maya had surgery 2 days ago. She is a strong , very fit dog with good vitals, X-rays and blood levels. She has been a daily Rimadyl for 6 months. She was having so much trouble breathing that she didn't want to go on walks anymore. Her symptoms were slow to develop but increased greatly in the last month. After our 4th vet visit and surgeon consultation we opted for surgery. Our choice was surgery or keeping her mildly sedated much of the time. I couldn't stand to see her panting every time she stood up and wheezing heavily when she greeted any of her many people friends. Surgery went well, Maya stayed in the hospital overnight and came home late yesterday. She is already breathing so much better. She was ravenous when she came home, typical Golden. Yesterday PM we fed her 1 can of Hill's i/d in meatballs and 12 ounces of mashed pumpkin with avocado oil and butter. Maya woke this AM after sleeping well, 7:30. She is still sedated and will remain so for the next 10 to 14 days. She woke and wanted to play with her stuffed animal but we took it away. She was wagging a good deal. We gave her her antibiotic, Trazodone (sedative) and Tramodol (pain killer) in her canned food meatballs. She has been quietly resting all morning. Her stomach is gurgling occasionally. Vet has her drinking freely out of her water bowl. More to come. Hope these posts will help other owners decide about Lar Par surgery. just wanted to thank everyone who posted here. my dog had thyroid cancer surgery and secondary to the surgery now has laryngeal paralysis (still fighting in the hopes they will take responsibility and lessen our bill). he came home and within a few hours started panting madly leaving me speeding and running red lights to get him back there. he is home again, a few panting attacks that passed but now just won't settle and is coughing some. just spoke w the vet and we will carry on w what we are doing. i really value all the comments about the mental and emotional struggle of putting our loved ones through this. thank you for making me feel less alone. I was so happy to find this page. My dog Champ is a 13 year old Golden Retriever. After a breathing episode, he was diagnosed with LarPar this summer. He seemed fine for a while but then got worse during the end of the year. After our vet saw him at home, we rushed him to the AMC where he got oxygen and immediately had the tie back surgery the next day. 15 minutes after we saw him after the surgery, we got a call that the tie back burst, which was the worst news we could have had. He had to get a temporary tracheostomy to breathe before they could go back in and try the other side. Then they found he had pneumonia after the procedure ...it was not looking good. He had the surgery again a few days later despite the pneumonia - had 50/50 chance of surviving it - and was in the ICU for 10 days throughout. We finally brought him home and like everyone above, watched him day and night, feeding soft meatballs. We were distressed he could not walk - his hind legs unstable (he had arthritis as it is) but assumed it was from not walking for 10 days. He could not control his bowels so many accidents happened. We are now 3 weeks after the tie back. He is gaining strength and eating fine (wet food mixed with softened kibble, but no more meatballs). His drinking is mostly the issue as he always coughs after each drink - and we do give small portions. He is starting to be nervous about drinking and hesitates. His legs are still weak but he is getting up on his own. We have been through the ringer with our dog but just to see him comfortable, not panting is a miracle. We cherish whatever time we have left with him. If anyone has any remarks about water drinking, I would love some tips. Heather I hope u opted for surgery. My dog, Lucky, was 13 yrs, 5 mos when he had his tieback and is now 14 and 9 mos today. Best decision I ever made. He has had one severe bout with aspiration pneumonia but with a tracheal wash procedure to id bacteria he recovered. God willing he will be 15 yo nov 16th. Hi All, I have my 13 year old lab scheduled to be put down on Thursday due to LP. I wanted to see how everyone's dogs are doing after the surgery. After reading all your posts I'm thinking I have made the wrong choice and am now wanting surgery. My biggest fear was that she'd get pneumonia and pass from that. I'm more hesitant because my last dog died after surgery on the day we were suppose to get her stitches out but she also had a completely different surgery. My dog seems so happy still. Tonight she wanted to play ball and we went on a walk and she seems like she has perked up today. Any and all advice would be appreciated. Thanks debgspz. The nebulizer seems to have really helped. It has now been about 3 months since my lab had surgery for his herniated disc. It was a really tough decision whether or not to do that surgery. In the moment, the surgeon said it was worth doing and the only alternative was to have had him put to sleep that same day. I had no idea how hard the recovery would be on all of us. I am still not 100% sure I made the right decision but he seems happy and I sure am grateful to have him with me. He is doing pretty well, able to walk again, regained bowel/bladder function. He is on medication for pain and he seems pretty comfortable. He has good energy, can go for walks, even to the dog park, but for those he still needs a little support with a harness as his back legs are still a little uncoordinated. Of course, he has found a way to get himself on and off the couch (which he is welcome to do). We take him to a park with a duck pond, and he loves it and if we let him he would jump in after them. I am hoping to get him to the beach soon, he loves it there. Physical therapy with underwater treadmill have made all the difference. He is back to his sweet happy self, just a bit more tired and wobbly than he used to be. The big issue is that he has had recurrent or persistent aspiration pneumonia. He cleared it after surgery, then it came back after about 1 week. After another course of antibiotics, he cleared it again, then about 4 days later he regurgitated and developed a more severe case. He cleared this one too, and once he stays clear for 2 weeks, I guess we will take him off the antibiotics and hope for the best. Still doing nebulizers and coupage, as well as giving him reglan 3 times per day to help his GI motility. We also are giving him smaller meals and resting him afterward. Amazingly he has not developed any diarrhea from all the antibiotics. I am still hoping for the best, that he will get better and make it to summer (I work less then) so that we can have some good adventures. I am treating every day as a gift and trying my best not to think of the inevitable. I have not been through end of life with a dog before, and I didn't realize that he will stay this sweet and happy no matter if he is on death's door (I am not sure what I was expecting). I believe that he will let me know when he is ready to go and I hope I can get the message. 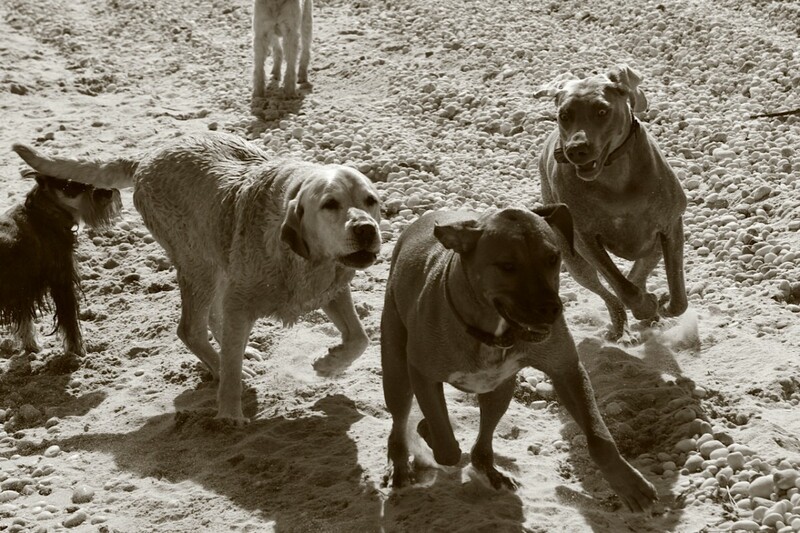 Is there anything more wonderful than these old dogs? I am grateful for this forum and for the opportunity to share and read about other experiences. Julia, Thank you for the information on using the nebulizer to prevent Ap. And the coupage. I will do it every so often. Better safe then sorry. Carla, I wish I saw your post sooner. My dog had the tiebacks. My surgeon told me that cutting the flap is risky. Please ask a lot of questions and even get a second opinion if affordable. If you had the procedure done, I hope to hear good news from you as to how your dog is. Oh about the fatty lumps. My dogs have a few too. They are labs. My vet said not to worry about the ones I showed him. I don't know if your dogs are the same but Labs are prone to fatty lumps. I posted a few months ago about my 9 year old yellow lab who had tie back surgery this past summer. I totally agree with everyone who said they wished they had done it sooner. My dog recovered to his old self from a few years ago. Everyone who knows him commented about that. He did not tire on walks, had way more energy, slimmed down, seemed much happier. This past week he was having a normal evening but then developed progressive weakening in his hind legs, to the point of total loss of movement and near total loss of sensation (still had deep pain +) Long story short, it was a herniated disc which had completely compressed his spinal cord. I opted to have the surgery to repair this due to the high recovery rate (90%). One week later he is slowly regaining movement and sensation as well as bowel control (still no bladder). Interestingly, in the presurgical workup they found a 'small amount' of aspiration pneumonia which must have been subclinical. Of course, it greatly worsened after a long surgery and immobilization due to paralysis. Antibiotics, saline nebulizers, coupage, and a good ICU team got him through it. We are still doing the nebulizers, etc but he seems to be recovering. I am posting here because I learned that doing a periodic saline nebulizer and coupage (firmly tapping his chest wall with cupped hands) might actually help prevent aspiration pneumonia and I wanted to share. 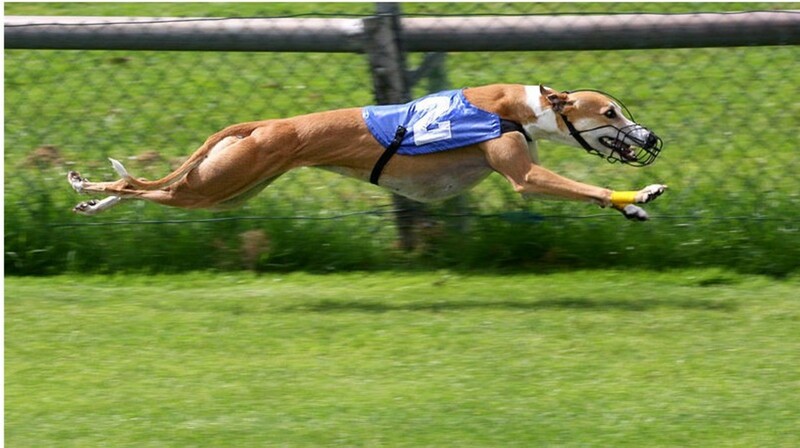 It is pretty scary to watch a larpar dog with pneumonia and it can kill them. I questioned whether putting him through tis surgery and recovery was the best decision but he was doing so well I had to give him a chance to regain quality of life. He really seems motivated to get up and around so I am hopeful. God, I am crying my eyes out! My sweet Mia is a 12 1/2 yr old Black lab. She is covered in fatty bumps ( had one removed a couple yrs ago) and is very lame. Now she has LP. My vet is treating with Carprophen for pain and her breathy is calmer and no more hacking and gagging. he tells me there is a local vet that does a lazer surgery that removes a small portion of one side of the larynx. Has anyone heard of this? sounds less evasive. Have not talked of cost or recovery yet. My vet said it is a hard choice at Mia's age because of other health problems that can and will arise with her age. I do love the success stories. I have two other labs, a black, Buddy, who will be 12 in November, and Mia's son, Milo, a yellow, that is 7. please let me know if anyone has done the laser surgery!!! I am so thankful that this site is posted, as it has been such a great resource and place of support. My sweet Labrador, Calloway, 13 years old, had his LP Tie-Back surgery on Friday. It was diagnosed last Saturday, after ruling out an upper respiratory infection and possible allergies. Benadryl did take the edge off as it decreased the inflammation, however, it was not enough to convince me that there wasn't something more. Breathing for him was a task, eating took time because he had to catch his breath, gagging was often and an overall depression surrounded him. He loves long walks, and could not make it without laying down. The vet had suspected that it was LP prior, and it was confirmed. I located a Board Certified, Veterinary Surgeon who specialized in soft tissue, and the surgery was performed. I did not waste any time, based on the posts I read on this site. Calloway came home today - Sunday, and I am emotionally and physically spent. Seeing him like this is beyond scary. At first he did not eat, and they said he was not drinking much. I have made him meatballs with his meds inside, and he did take approximately three down, and also drank water! Not much, but I am so greatly motivated by the little wins, I will take anything I can get. The surgeon said that when she scoped his larynx it was completely paralyzed. No movement, only a minor 'flutter.' My moral compass could not allow him to die the tragic death of suffocation, after all of the unconditional love and support he has given me, and little did I know, we were on borrowed time. I resolved that if he did pass during the surgery, at least he would be in peace, and not suffer. I owed him that. So, here we are. He is eating from a raised food bowl, only wet dog food, meatballs, and I have kept the harness off. I allow him out the back door to potty, and then straight back inside. We live in Florida, and it is humid and very hot. 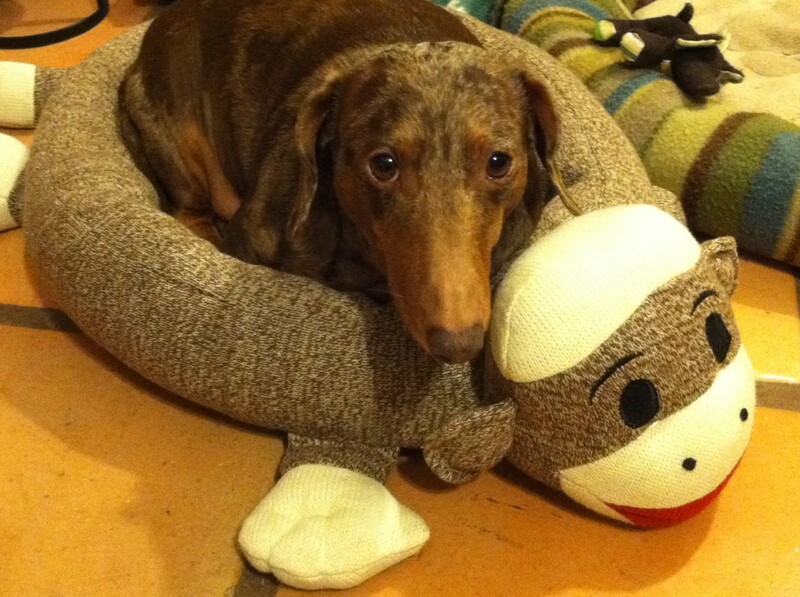 I ice his incision to keep the swelling down, and am doing my best to keep his stress level very low. Calloway will no longer go to the beach or swim, he can only have wet food, and will wear a harness. I also discovered that grass is not allowed, so we will need to keep an eye on him and make sure his tummy is feeling well. In addition, vomiting can cause bacteria to enter the lungs and cause pneumonia (as well). Yet, his quality of life will improve overall, he will be able to breath and be in peace, no more fighting for air. I pray that we are on the mend, and I am beyond thankful for this blog! I truly believe it saved my sweetheart. Stay tuned for his progress. My 9 year old lab had tieback surgery about 5 weeks ago. He never had a full-blown crisis but was always panting loudly, had a wheeze when he barked and when he slept and his tongue was always very thick, large and dark red. My vet had diagnosed him as 'mild' in May and told me he did not need surgery. I did some research and got worried, and so requested a referral. I saw 2 surgeons who confirmed that he had LP and they both recommended surgery, NOT waiting. They explained to me that my dog was basically suffocating. I worried about him going into crisis right up until the morning of the surgery. I took him to OSU because of the study (someone mentioned in an earlier post). I figured they would be pretty well practiced in doing this surgery. Of course, there is a resident involved but the expert surgeon is scrubbed in and doing the surgery as well. They are still doing the study which involves providing reglan IV for the 24 hours post surgery to see if it decreases the incidence of aspiration pneumonia. They said that so far it does not seem to make a difference but their overall AP rate is 10% vs the usual 20%. I learned that the amount they tie back the laryngeal flap differs from dog to dog, they do it just enough to allow good air flow. I don't know why my vet told me he did not need the surgery. My dog had gained some weight, I now realize that was probably because of his worsening exercise intolerance, and they told me to put him on a diet and that should be all he needed. So I did, but his symptoms did not get any better which is what prompted me to take him in. It was a tough decision because his main form of exercise is swimming (he has arthritis in his hips). The resident said 'never take him swimming again', but the expert surgeon said 'if he loves to swim he should swim, just be careful and realize this increases his risk of developing pneumonia'. Now I am so glad he had it done. His tongue looks normal again and he breathes comfortably and seems to have more energy. He has lost his bark and his ability to 'talk' (those of you who have labs probably know what I mean), he cannot really drink out of the hose anymore, and I cannot feed him his old cookies/rice cakes/etc. I never thought I would miss his barking! I do wish there were more guidance about foods etc. I have read so many different things. Since his surgery I have been giving him some home cooked food in the meatball shape as well as soaking his Orijen kibble and mushing it up with ground brown rice or oatmeal to help it keep its shape. I also have made soft cookies with bananas, oat flour , eggs, grated carrots, coconut oil and ground flaxseed as well as sometimes pumpkin and/or applesauce. I just bake it like banana bread and then can roll it into balls. Another good treat option has been cut up fruit like bananas or peaches. He also seemed to like fruit popsicles to soothe his throat and thirst while he was learning how to drink. He finally went swimming today for the first time. We use an indoor pool that is designed for dogs. We used a doggie life vest, as well as a plastic donut shaped e-collar to help keep his mouth/nose above water. He was not thrilled, but he did get used to it and he did great. No coughing at all. I think as we go more often we will figure out if that will work, or if he can go without the e-collar. But for anyone wondering how to do the swim thing, consider a life vest or the e-collar, at least at first. Another option would be an underwater treadmill (not for us, but may work for others). Also, I found it helpful to monitor his temp and lung sounds during recovery. If you have a stethoscope you can get used to the lung sounds when they are clear, and then you have something to compare. Dogs can do a lot of weird sounding coughing and clearing of the throat after this surgery which took me some time to get used to. This is a much longer post than I intended, but I am so glad to find others who have gone through this and all your posts were helpful to me. I know you understand what this is like. Thanks! My Bud had LP surgery march 2014. Post surgery was similar to Sonny's story. It wasn't bad, and seeing him breath freely again was pure happiness. We found bud in a shelter. His age unknown but was told likely around 9. So surgery came at around age 11. It's an expensive surgery, but worth every penny for our "baby." My goldendoodle Sundance is scheduled for tie back surgery in 10 days. Would be interested in knowing your experiences post-surgery...what is the recovery process and time? The dogs are not supposed to get water in their nose or mouth because their windpipe is tied open and the water would go straight into their lungs causing aspiration pnemonia. If you take the risk, remember, it only takes 1 slip or 1 splash. I don't like to take chances with my dogs life, but I cant tell anyone else what to do, only to guard them, don't let them play and splash. What more can anyone say. The stakes are high with water and tie backs. Old Golden had this surgery and we were told if he swims he will drown and die. Were you told the same? Are there any tips you can share? I appreciate you sharing your stories. I realize that you love your dogs as much as I love mine. But as an ANIMAL lover, I must ask that YOU please consider switching to a vegetarian/vegan diet. Our dogs need to eat meat BUT we humans do not. Hi Debbie - - Thanks for your note. Interesting: I just talked with the surgeon. The ER vet on Saturday night told me no swimming and I had read about soft foods, etc., here on the comments on this blog. The surgeon just said, "no, kibble is fine, just as long as it is hand fed. And water should only be given a cup at a time. Contrary to what the ER vet said, the surge said, "he can swim!" When she comes home, her food will have to be shaped into small soft meatballs so she can swallow them. They want the food to basically slide right down. Hand feed her in the beginning so she wont gulp the food. I would not give kibble in the beginning, anything hard that crunches when she eats can make her choke from the dust and we don't want the food to go down the wrong pipe so no milk bones, kibble, no rawhide ever again. If later on you do give her kibble, wet it so its not dry. No dry crunchy foods. The vets tell you not to let the dogs swim because they can aspirate water. Remember, the airways that lead to the lungs is now tied open. She cant get water in her nose or mouth, it can go right into her lungs. Also if its hot she must be kept cool because panting is hard for them now with the airways so small. It sounds complicated, but its not. Small meatball shaped food, keeping her cool, no foods that can break apart and go down the wrong pipe and make sure she drinks slow in the beginning until she gets used to her new throat. The main thing you have to watch out for is aspration phnemonia. One of the most common ways as my surgeon told me, is from a dog getting sick. Many people give their dog a motility drug called cisapride. I am just getting it now for my dog. It just helps the food pass through her system faster and as I was told, cisapride is the best one. Good luck with your girl. Having the tieback done is giving her her life back. If you have any concerns while she is healing, call the surgeon right away. Follow your gut. If she is coughing too much, not eating, has any discharge let them know. I wish you the best! Our nearly 14 y/o Brittany had the tieback surgery today. Praying it goes well. 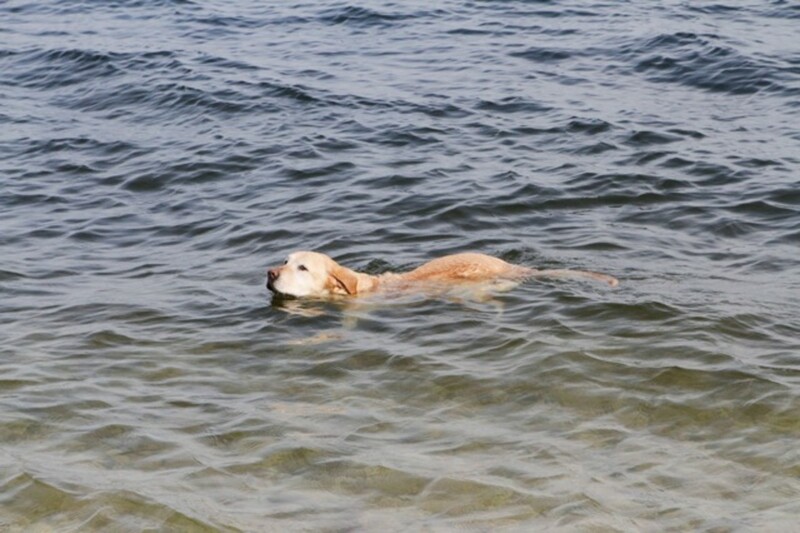 We are heading for another hot summer here in New England; this dog heats up and loves to swim to cool down. I know it's too early in the process but I am wondering about the advisability of swimming. Would love to be able to have him in the water but wonder what the real risk is? Meredith, who started this blog, let her Sonny swim and had no issues. That would be great. Anyone with any experience with swimming post-tieback surgery? Thanks. Hi, I was here a long time ago and made a post 14 months ago, I just read it again. Well this would make it 2 years post surgery for my girl, a 10 year old chocolate lab who has LP and had the tie back, I want to say thank God we made the decision to have the surgery done because she is still with me, I love her so much. She healed, she is breathing and if I had not had the LP surgery done I would not have her in my life right now. I hope people read these stories and understand that dogs with Laryngeal Paralysis die if they do not get the tie back surgery. The disease is progressive and they suffocate. All their organs are starved for oxygen. I hope our stories save some beautiful dogs from suffering and dieing. I wish I'd seen this thread earlier for moral support if nothing else. I had never heard of the condition. My lab Duke was diagnosed about 4 years ago but it didn't get worrying until I moved to southern california. The combination of warmer weather and allergies made it a challenge. He wasn't a candidate for surgery so I managed it by controlling his environment. He had breathing emergencies but always came out of them and was bright eyed and bushy tailed. I ised to joke that it was because he didn't go into the light. The problems was the emergencies really tax their system. Almost two weeks ago he lost the battle during a breathing attack and went into the light. It was awful but I was with him and able to look into his eyes the whole time. I knew deep down he was on borrowed time for the last few months. He was very happy right until the end and lived with lp for 4 years. I wouldn't change how I managed it, but I sure could have used a support group. I wish all those of you going through this the best. I want to thank all of you for your input. It is believed my Brittany has LP after her visit to the vet today. I say believe cause we are still waiting for tests to come back. Had xrays done and heart and lungs clear to rule out congested heart. I am considering having the surgery done on my 12 year old cause I couldn't stand for him to suffocate down the road. I think its early cause he just started with rapid breathing upon exercise and when he gets excited. Question: is there a list of surgeons who do this surgery frequently. I want someone who is familiar with this procedure. Any input? I'm desperate to find as much information as possible on this awful condition. My soon to be 13 yr old lab was diagnosed about 6 months ago. At the time my vet seemed to feel that because of his age he would be gone from this earth before the symptoms of the LP got him. He has had a heart condition since birth which we manage through a series of traditional & homeopathic medications and also has hypothyroidism (which I have recently learned can lead to LP). My holistic vet introduced a remedy to help with his LP but that was in late Oct and we were headed for cooler months. Anyway, I live in PA and the last few days our tempertatures have hit around 50 or 60 degrees. And while most people & dogs have enjoyed the nice spring like weather, my Bailey has HATED it. His panting has increased and he is refusing to go for any type of walk. So that prompted me to do more research on LP. I'm scared out of my mind as we prepare for the warmer months ahead. I can't bear the thoughts of him struggling for air or not being able to cool himself. I have fought tooth & nail to help this boy through his heart condition and I do not want to lose him to LP. His holistic med does not appear to be working. I have read of some success with Benadryl but it is not recommended for dogs that have a heart condition. I feel helpless. Does anyone have any other non-surgical suggestions? I'm not sure he'd be a canidate for that although he did successfully undergo necessary TPLO surgery at age 10 and fatty tumor removal surgery at 11 1/2 . Or for those of you that have been through this with older labs or dogs, can you please share the facility name and doc that performed the surgery? It gives me some hope to see that older dogs have had success with the surgery. Please help! Bailey is my heart dog (in more ways than one) and I will do anything for him. Thank you! My 12 1/2 year old lab just yesterday had LP surgery. I can't stop freaking out. Before I could read all the instructions he gulped down so much water & started breathing funny. I watched him no coughing hacking or vomiting but his breathing was fast (not panting) I called the vet they said just watch him for any changes. He is resting now. Still scared at what normal breathing sounds like. What does normal & abnormal breathing sound like. Is it OK if it sounds like a rattle sometimes. Occasional coughing is ok I think I was told that. Any suggestions would be greatly appreciated. My thirteen year old yellow lab just had the tie back surgery yesterday. He is breathing so much better. Does the whole feeding process get easier? I am doing the meatballs and some got stuck on the roof of his mouth. He became very anxious and so did I. Quite scarey, however we need to stay calm because he senses our anxiety. How long after the surgery do they return to their usual eating patterns? I really appreciate the positive uplifting story of Sonny. Thank you for your post and story. thank you meredith and everyone else for sharing their stories, i have a 12 month old bull terrier who has 'a larynx that does not work' as my vet told me and was born with the condition ,he has had two exploratory ops , the last one being at a small animal hospital with a vet who specialises in this type of problem, surgery was always put forward as an option to help my boy breathe but they wanted to clear up the nasty lung infection he had developed as a result ,they think, of swallowing some food into his lungs. Hi, my name is Debbie and my dogs name is Brownie. She is a 9 1/2 year old Chocolate Lab and she has LP. We are 1 week post surgery. This was a very hard surgery to make a decision on because as one of my friends put it, they have to break your dog to fix your dog. Its an exchange for the ability to breath. I would lose her if the operation wasn't done. So now she is healing. The surgeon and vet told me that for 2 months she has to take it easy. I am also feeding her meatballs. I cook my dogs food which also gives me more control over what she eats, But I make her food that I can roll into a meatball so she can swallow it, most of the time she swallows with out chewing, they say thats good. She eats small meals through out the day. I read the posts that some people made and omg I had to cry. Im only 1 week post surgery but to anyone facing LP, please understand that this only gets worse. I asked 2 surgeons if the disease can stop and not progress, they said it is not likely. So that leaves your dog suffocating. The organs in his or her body starving for air.. I didn't see where I even had a decision to make, I couldn't leave her like this. This is why I don't regret having the tieback done. I will say that while waiting for the surgery date to come, I think I lost years off my life worrying, I was a mess. And along with the worry about the surgery I had to sit with Brownie and help calm her panic attacks that happened at night because she couldn't breath when she laid down. Even at rest when she was asleep I would listen to her breathing and it sounded like she had bad asthma. Or like she was breathing through a straw, struggling to pull air in. So at least now, although her life and my life has changed, she may have to eat meatballs, and I may have to make sure she don't gulp her food and water, we got this far. We're experiencing the same problems now. My 13 year old English Springer Spaniel has been suffering from LP for almost 18-months. I took him to the vet about 6-months ago for a swollen prostate gland and mentioned the weasy cough and gagging. The vet advised me it was LP, but because the of the dogs age, surgery was not recommended because of the complications using Anesthetic on a dog of that age. The vet gave me some useful tips on how to keep the dog relaxed and cool but symptoms have no advanced. After reading about LP, I understood that my dog, Oscar, may get Pneumonia at some point down the road, and unfortunately I have now started to see symptoms of this. I have seen green mucus coming form his nose, his cough and gagging has started to sound very fluid like and bubbly, and literally tonight, he struggled for breath and was seen stumbling around, wide legged, and looked dizzy in the eyes. I can't tell you how hard this hit me. He is my soul mate and more. He soon recovered from this after forcing him to lay down and stroked him to calmness, and is now sleeping it off. This is heartbreaking that nothing can be done. I don't want to ignore the recommendations of the vet and organise surgery, I don't particularly want to put him down, as this is only his first major episode and he could have 6 months of loved life before his next — but I sure don't want him to die in my arms struggling for breath. I'm going to take him to another vet this week for a second opinion. I hope that after a full check-over; lungs, liver and heart, that the vet may see a a good reason to operate and use Anesthetic on him. If I remember, I'll post back here to let you know what the vet says. I just received this but in case you get this or others do Sonny had the tie-back procedure and as you can read it was successful. He never had an issue with aspiration and he swam everyday until he died just this past May. The surgery added so much quality time to his life and that's why I initially wrote the piece. 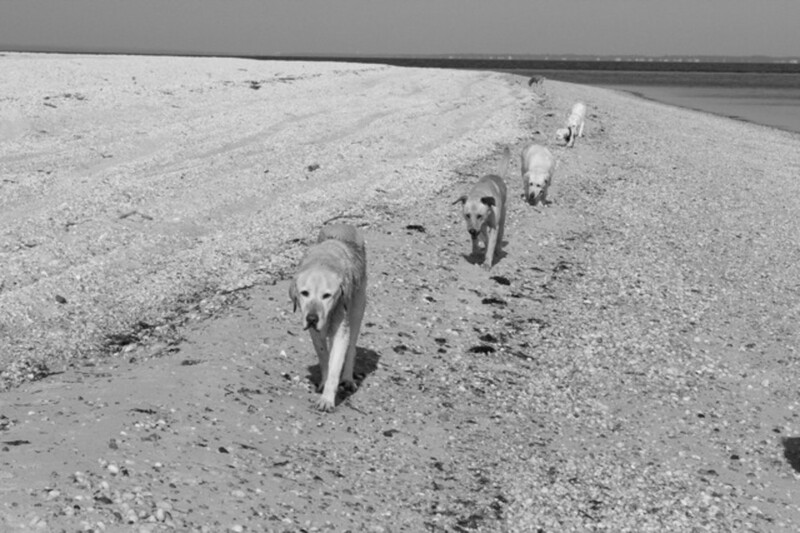 Sonny walked with a pack of doges everyday for 2+ hours and had the blessing of being a happy labrador retriever who lived like he was meant to, i.e., swimming, playing, eating and sleeping. The only thing he lost was his voice. And really, no one ever missed it because he always let you know he was around. We all miss him. Sadly, My 10 Year Old Black Lab Onyx was diagnosed with LP in Feb 2012. He was an otherwise very happy, energetic dog. The only drawback was that he had the hack and the roar in his throat and would get winded from a simple walk down the street. His Vet said that this was a condition that was common in dogs of this breed and one of his age. She said that he may need surgery but she did not seem to be too concerned about it at that time. On his last night alive, I recall rubbing his tummy which he loved and he seemed so happy and full of life. I went to work the next day and all seemed on the level until I came home and my wife was on the phone talking to his Vet. I saw him by the back door in the kitchen and he had EXTREMELY labored breathing. He had no energy and the things he loved most, His Frosty Paw Ice Cream and food were no longer of any interest to him. These are two things that he wouldn't turn down if all four of his legs were cut off. We were told to go to a 24 Hr Vet nearby and when he walked out of the house to the car which was less that 15 feet he looked as if he was ready to collapse right then and there. It was very hot and stuffy outside and I lifted him into the back of the Car and had the A/C at full throttle. He was struggling so hard it was frightening. I had to hop in the back of the car as my wife drove and I comforted him to the best of my ability. I actually got him to relax his breathing to a more calm level. I rubbed him and made him more comfortable. He rested his head on my side and I was at ease finally. We arrived at the Vet and he barely made it in the building. They put a tube in his throat and gave him a medication to relax his breathing. The doctor came out and told me what was going on and as she was speaking she had another doctor or assistant come in and the doc never even finished her sentence. She raced off and tended to Onyx. She came back a few minutes later and informed my wife and I that he went into Cardiac arrest and they did CPR and revived him. She said he recovered fast, but now she was not sure if this caused him to lose more Oxygen to the brain. She said he was breathing on his own and they may need to keep him overnight for observation. The Doc said she was going in to check on him and see how he was doing. She returned a few minutes later and told us that he went into Cardiac Arrest and stopped breathing again. They did CPR and he recovered and then we was told that even though he was breathing. It was faint and that he had no brain activity at all. So of course we were left with the decision to stop CPR and all attempts to keep him breathing since he was likely brain dead. I asked her how can this happen if he was essentially fine last night? She said that LP can cause complications that can come on in the blink of an eye. He was being deprived of Oxygen for such a period that it was causing other problems. In the end we lost a wonderful friend and family member who had life and the will but this disorder is what took it away from him. He would have been 11 this November. I lost my best friend in the whole world, but a hard lesson was learned from this since I never knew much about it. If we choose to get another Lab, we will recognize the symptoms and waste NO TIME to address it. We followed the Vet and it was costly. Next time we will go to every vet in the Northern Hemisphere to make sure he or she gets the treatment needed. I read this post and it saddens me that if he would have gotten surgery sooner, he would have been here for his birthday and even had a few more years to enjoy the things he loved so much.. Folks, if you have a dog diagnosed with LP / Lar Par, my advise to you is DO NOT WAIT!!! Do whatever you have to do to get your pet back to the quality of life it deserves. Had I had more information on this disease, and after what I have read here, I am sure Onyx would still be around today. Sometimes, not having the information can be more painful than the symptom itself. Thank you for posting this article as it makes things better for me. I did not know if I wanted another dog like this because of fear of this happening again. But recognizing and reacting in a timely manner gave me new hope and I am thankful that this information is out there.. I'm so happy things worked out for Sonny! My dog (lab)Lucy is 15yrs old and has suffered with LP for about 3yrs. Her sister had the condition as well and had surgery that wasn't successful, so we didn't pursue it. We've been able to manage by controlling Lucy's environment, not letting her get too excited and modified exercise routine, but lately her episodes are more severe. It's so hard to watch her suffer, and at 15yrs old she is otherwise healthy and would love to be more active and social.. Anyhow, wondering what type of surgery Sonny had - was it the Laryngeal tie-back procedure?? or a "scrapping" procedure? Sam (Lucy's sister) had the scrapping. I hear the tie-back is more successful but there is a large risk of aspiration after..
Sonny's surgery was in March of 2010 and his breathing is normal. We design his diet around his allergies. He has sensitivities to certain things as he gets older and that results primarily in itchy skin. That being said, we've gone through many foods, prescription formulae and the ones that seem to work are the prescription ones. Right now he's on a Duck formula. Oddly enough, he throws up apples so we can't use many of the supermarket brands as many include apples. Another reason we don't give him people food. I don't know why I'm not getting email updates but I was away and checked back in today. I was worried but I'm glad Montana is responding to the medication. I'll check in again and look for an update. I'm glad to hear Sonny is doing so well! Montana's recheck for his heart went well. His ECG was normal and his appetite has returned. So it appears the heart medication is working. I would like to wait 2 to 4 weeks before making a surgery date just to be certain things are well with him. How long ago was Sonny's surgery? I'm sure he is eating whatever he wants and his breathing is back to normal. How wonderful!! I didn't get a notification about your comment but I checked in anyway and I'm glad I did. I hope the recheck went as they expected and they can perform the surgery if they need to. It sounds like they are hopeful on a lot of fronts - for the heart issues and the LP issues. It sounds like this must have been scary for you. 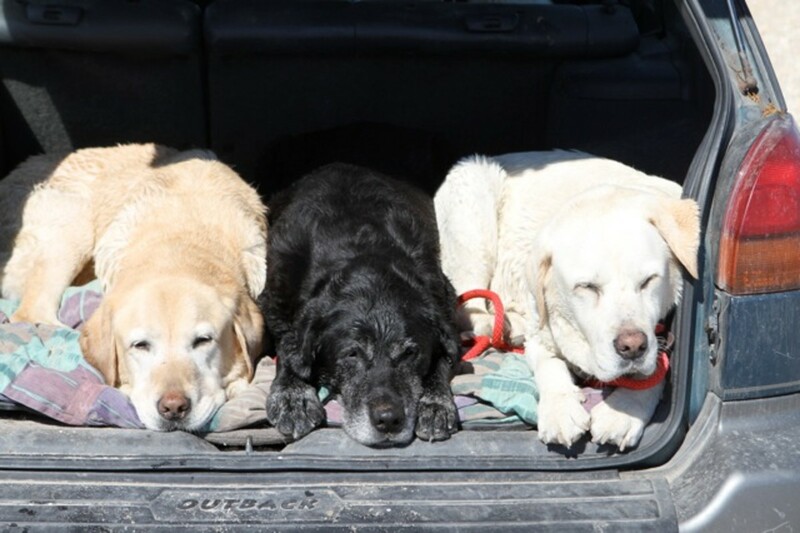 Knowing labradors, Montana probably took it all in stride, I'm guessing. Sonny is quiet as can be. He hasn't got a bark, really. An occasional sound because of the force of the air. He's still swimming every day and his appetite is strong. I hope Montana is eating well and keeping you good company. I don't know why I didn't get a notice about your comment, I'm sure it was a technical goof as they are making changes and I'm not that active here but I will be sure to check in. I brought Montana in for LP Surgery a few days ago. However, during post operative testing they detected a irregular heart rate. So, surgery had to be cancelled. Montana was at AMC for two days in the cardiology unit. They performed extensive tests on him. The echocardiogram showed good heart function but other tests concluded that he has an arrhytmia that needs to be controlled with a heart medication. The vet's feel confident that this heart medication should help Montana, to some degree, with a lot of his LP symptoms. I'm taking him back for a recheck next week where they will give him a heart monitor to be worn for 24 hours. Hopefully, the arrhythmia will be controlled. If his LP symptoms are still a concern 6 to 8 weeks down the line the vet's feel that as long as he is doing well on the heart medication, surgery can still be performed. How is Sonny doing? Is his breathing quiet or do you still hear a slight noise? I hope all is well with you both! Thanks! I look forward to hearing and I'm sure you're keeping her company by now. Thanks for all the information. I'll keep you posted after Montana has surgey. Sonny had his surgery during cold weather so I wonder if the warm weather has any deleterious effect on Montana's condition, both pre and post surgery. I'd ask the doctor for special concerns during post care but with respect to walks now, perhaps it's this heat. Sonny had the surgery in the early spring months - and then we had snow. 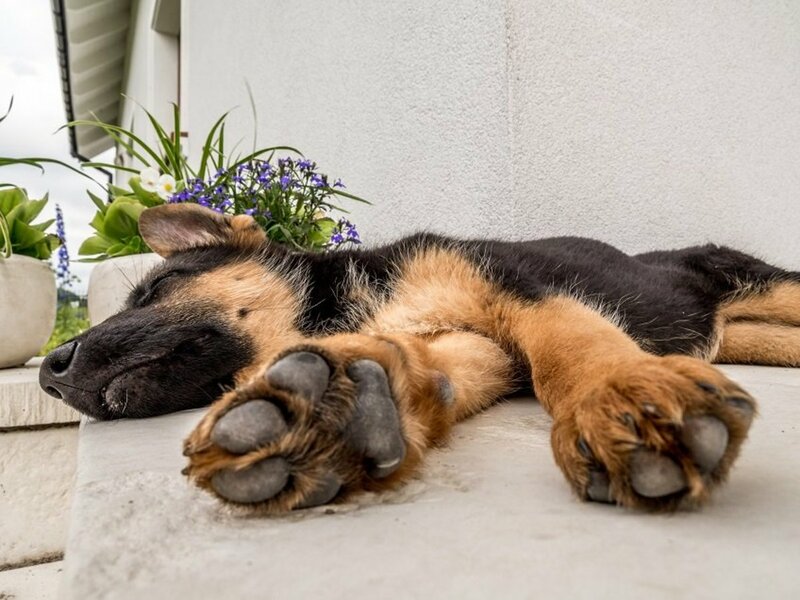 We know how much they love the cold weather - they find it invigorating and the warm weather exhausting. That being said, Sonny was still able to go for longer walks because it was quite cold outside. I also caught his condition very early as he was depressed, in my estimation. The vet referred me to AMC because he noticed that his breathing was more labored. You notice things are wrong with your animal but sometimes you don't know what it is - that's why I talk to the vet - sometimes they can see or hear something that they can medically attribute to the behavioural change. He did not lose his appetite. Happily he now eats more now because he is in better shape because he is able to do more still, a few years later as he approaches 13. 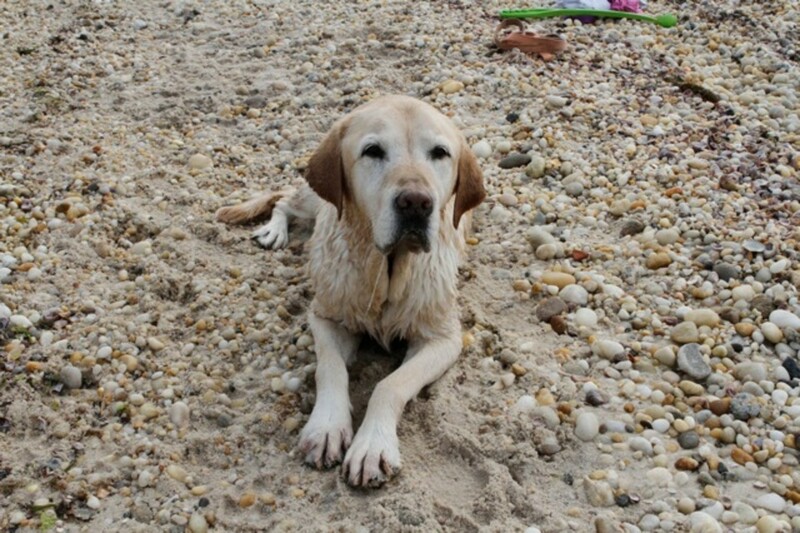 He is getting arthritis but is still swimming at the beach but also suffering from the heat. The only time Sonny lost his appetite was when he had Lyme - I mention that only because he was not feeling well. When dogs don't feel well they react in different ways and sometimes the owners are the first to recognize something. He slept on the cold kitchen floor past his dinner time so I took him to the vet and he tested negative to everything but I looked at the Sunday vet and I said that Sonny doesn't sleep past 3:30 without wondering about dinner and asked about the blood test. She was annoyed with me but she did it anyway and it was positive. She put him on the right medication and I know why she was the Sunday vet. Montana probably isn't feeling well and also may pick up on your feelings. They are so smart! Give him lots of love and positive energy! With surgery around the corner I am a bit anxious. I always think to myself am I being premature with his surgery. Last week he had a few days of really bad breathing - heavy, labored and wheezy. And over this weekend things improved a bit. I didn't hear the wheeze as much. I do not want to take the chance of him having a repiratory crisis on the street, so I only walk him 10 - 20 minutes. Did Sonny, have his LP diagnosed by having an endoscope procedure? Dr. Schwartz, determined just by my dog Montana's heavy raspy breathing that he has LP. Was Sonny, able to go for 10 minute walks before the surgery - And did you notice a slight loss of appetite with him? I heard that LP can cause discomfort in swallowing. I hope you don't mind all the questions..
Sonny was in the hospital for only a few days and was very weak when we picked him up. He could pee on his own that was (seemingly) how they judged him to be "ready" to leave. It was hard to see how weak he became, how much weight he had lost. The harder parts may be keeping him cool so he is comfortable and gets the proper rest. Also, take the time he needs to follow the crazy diet. He'll need to be on a soft food that he'll need to eat in meatballs (unless that's changed) and the food stinks! We got small ice-cream scoops and melon ball scoops to make little balls of food for him so he could eat easily and it would be ready for him. He was too tired to eat and too tired to wait. Hard to imagine a labrador with no appetite but that's what happened. I'd love to know how you all are doing - get prepared while he's at AMC. We spent 2-3 days taking care of him - a few extra walks, more feedings because he wasn't eating enough and regularly and we just worried. Then he started getting better at a good pace. Thanks again for all the information. I hope Sonny is doing well!! 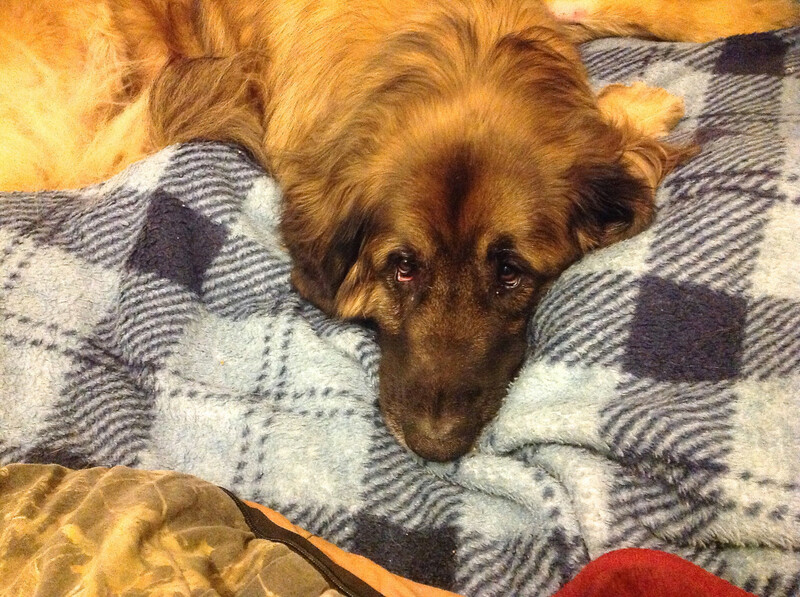 I'm going to have the surgery for my dog Montana, this coming week at AMC. I feel this will give him a wonderful chance to have a better quality life. How long did Sonny stay at the hospital after surgery and when you did pick him up was he able to walk on his own? Also, about how long after surgery did you notice Sonny getting stronger? Thanks again Meredith!! Best to you and Sonny!!! Yes, the surgery was performed at AMC by Dr. Pam Schwartz. Sonny goes to the beach almost every day and is only now starting to slow down at 12 years and 9 months. We think it's from arthritis in his legs - mild. Otherwise he is fine. No problems at all. The hardest part was when he came home from the surgery - he had lost a lot of weight and there's a feeding routine to follow. That being said, it's a distant memory now. He's at his full weight and has a cheerful disposition. It was his lethargy and sadness that indicated something was wrong. We were fortunate this was treatable and I hope the same for your dog. Very best of luck but you're in the right hands, I'm sure. Thanks for a great story! Your information is a tremendous help to me. I too have seen my almost 12 year old Labrador Retriever, over the past year and a half slow down considerably. Then the horseness in his bark associated with gagging and some coughing. His breathing has become labored and he is starting to wheeze a lot more. My vet at the Animal Medical Center, here in New York City believes it is Laryngeal Paralysis. I'm planning on having him evaluated by a surgeon next week at AMC to see what course of action to take. If the Surgeon believes my dog can have a substantially better life with the surgery I will have it done. I can't see myself not doing it and having my dog just sit around my apartment and continue to have difficulty breathing after a 5 minute walk. I understand the risks with an older dog but your story makes the decision easier for me. Do you know the name of the Surgeon who did the surgery? And was it done at the Animal Medical Center in NYC?